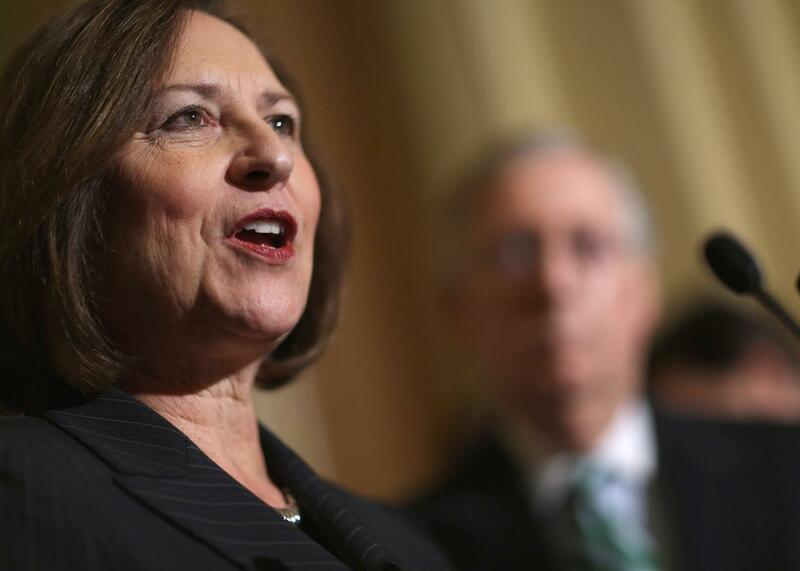 Sen. Deb Fischer’s family leave bill makes Donald Trump’s plan look generous. Do better, Nebraska Sen. Deb Fischer. Remember the time, back during the 2016 campaign, that Ivanka Trump said her father supported family leave and other policies helping women in the workplace? It was a laughable assertion until an actual proposal emerged—and that was kind of laughable, too. But even that plan, which would require employers to offer mothers of newborns six weeks of maternity leave paid for with unemployment benefits, was apparently too much for some congressional Republicans. Nebraska Sen. Deb Fischer introduced on Thursday two pieces of legislation addressing paid leave and pay equity. They will, Fischer said in a press release, “provide flexibility for the many families juggling responsibilities at home and at work. “Let’s seize this opportunity and make a difference for families across this country,” Fischer added. What difference? These proposals won’t do nearly as much as Fischer claims. In fact, they’re all but identical to legislation Fischer has sponsored in the past to less-than-ecstatic acclaim. The family leave benefit, the Strong Families Act, will offer employers a two-year tax credit of up to 25 percent of a worker’s salary in return for offering at least two weeks of paid time off to employees. When Fischer tried to drum up enthusiasm for this proposal at a 2015 presentation at the American Enterprise Institute, reviews from the left were not enthusiastic. “Relying on a voluntary tax credit, that’s not good enough,” said Heather Boushey, the executive director of the Washington Center for Equitable Growth (who would go on to serve on Hillary Clinton’s planned presidential transition team). “Is it really going to change employer behavior?” said Isabel Sawhill of the Brookings Institution. * “They’re still covering 75 percent of the cost.” In other words, a not-mandatory plan that would only help employers cover a smallish portion of what they would need to pay out probably isn’t going to move the needle very far. There is, if you’re wondering, legislation that would offer up a significantly better benefit. On Tuesday, Democratic New York Sen. Kirsten Gillibrand and Connecticut Rep. Rosa DeLauro said they would once again sponsor the Family and Medical Insurance Leave Act, which would offer Americans up to 12 weeks of paid time off for childbirth (or adoption), serious illness, or to take care of an ill family member. As for Fischer’s pay equity legislation, introduced in tandem with Republican Sens. Joni Ernst of Iowa and Shelley Moore Capito of West Virginia, it also promises less than it appears to. Yes, it would forbid employers from retaliating against or firing women for seeking to find out more about overall workplace salaries. Sounds good—but it’s worth noting that the Paycheck Fairness Act, the Democratic version of this legislation, would also clear some of the current roadblocks that make it hard for women to take their employers to court over the matter. Fischer is something of a specialist at pushing transformative-sounding bills that don’t especially help anyone. In late January she introduced legislation that would reform the Consumer Financial Protection Bureau, replacing the director—currently Richard Cordray—with a five-person commission. Her claim? The CFPB, which is best known these days for busting Wells Fargo for setting up 2 million unapproved accounts on behalf of customers, has fallen prey to “bad decisions by a single director,” and that has somehow “kept families locked out of economic opportunity.” As I’ve written in the past, this innocent-sounding reform is anything but; it’s really a recipe for regulatory gridlock. Here’s hoping he means that both seriously and literally. Yes, Trump’s campaign proposal doesn’t come close to the Democratic plan—for starters, it offers only half the paid time off. But not only is it a lot better than the national policy we’ve got now—which is, famously, no required paid leave at all—it’s better than what Fischer is proposing. Sometimes you take what you can get. *Correction, Feb. 10, 2017: This post originally misidentified the Brookings Institution as the Brookings Institute.